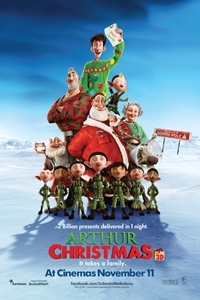 Sorry, but Arthur Christmas is either started or over at The Stables, St. Anne's Park. General CertificateA film classified as 'General' should be suitable for children of a school going age. However, as not every child will respond in the same way to particular themes, scenes and images, it is strongly recommended that parents/guardians - who know their own children best - consult the consumer advice available on this website before deciding what is appropriate.